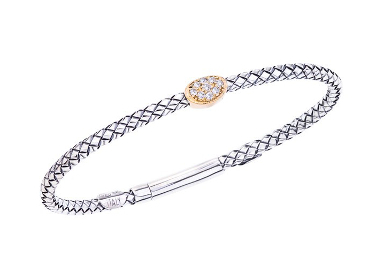 Sterling silver and 18kt thin traversa basketweave bangle bracelet with yellow gold and bead set diamonds. 0.14ct, with the mixed metals. The diamonds are a stand out and easy to put on by yourself.